Helen Plum Library opened to the public on Mon, Nov 12, 1928. 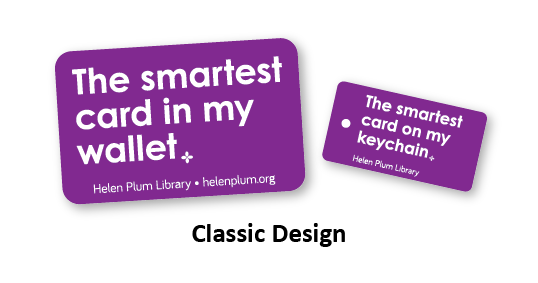 September is National Library Card Sign-Up Month, and in honor of our 90th anniversary, we are introducing new Library card designs to celebrate! Patrons signing up for a new Library card or renewing will have their choice of these new designs. And what's an anniversary without cake?! Join us on Mon, Nov 12 at 1pm and 6pm for cupcakes to celebrate the occasion. The new card designs will be available beginning Wed, Sep 5, and now come with both a card for your wallet and a keychain card! 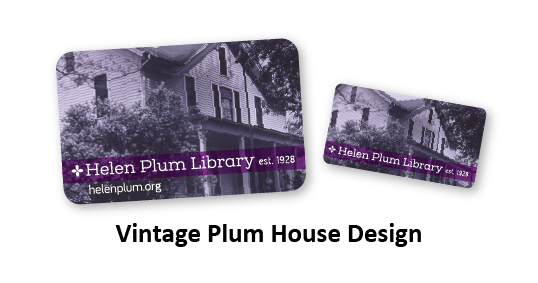 All patrons will have a choice between our 'Classic' card design, and a vintage design that features a photo of the Plum house--the original Library building! 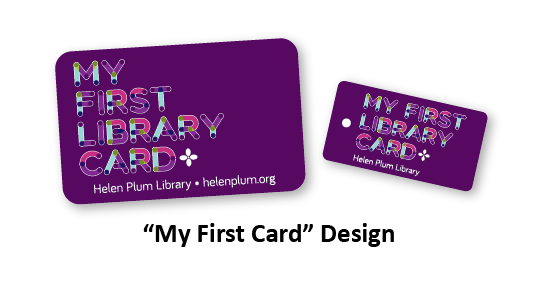 We are also introducing a 'My First Library Card' design for little ones. Check out the designs below!